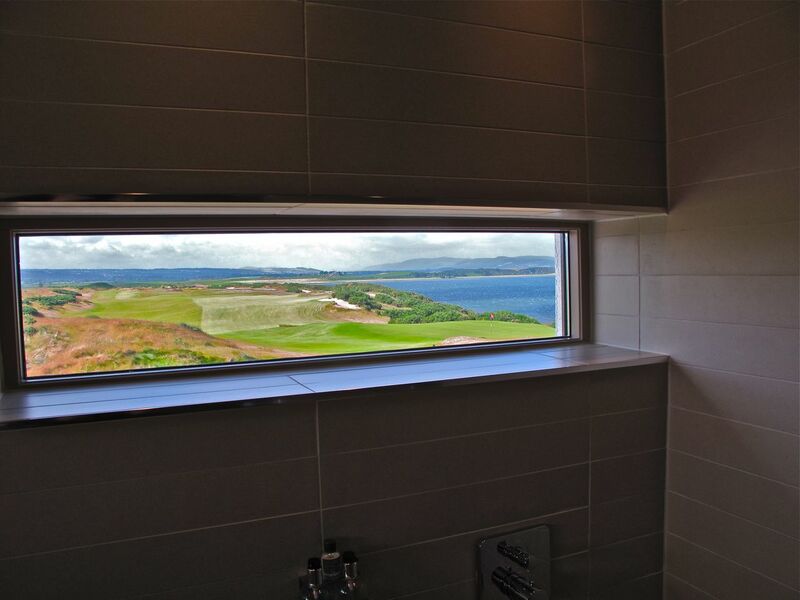 Reading the foreword to The Rolex World’s Top 1000 Golf Courses — which has appeared, as if by magic, on my desk in the press tent at the Open Championship in St. Andrews, Scotland — I find myself blushing with false modesty. In the just-published volume’s “Dear Golfers” opener the watchmakers boast that their book, which weighs about as much as a loaded picnic hamper, took three years to complete. This, of course, is pretty much the modus operandi of The Top 50, so I accept Rolex’s imitation as the sincerest form of flattery and wish them the best as they attempt to catch up. *Nothing in this paragraph should be interpreted as a criticism of Rolex, valued sponsor of the biennial Writers Cup matches between teams of golf writers from the United States and Europe. Those points aside, I give the editors credit for compiling an impressive catalog of meritorious golf courses from all corners of the admittedly spherical earth. In addition to course addresses, phone numbers and dress codes, Rolex provides altitudes and GPS coordinates. (For example, the Moonah Links Legends Course in Fingal, Australia, sits at an altitude of 15 meters at 38˚24‘24.27” S 144˚51‘14.68” E — information that would have kept me from missing my tee time on my last trip Down Under.) Rolex also designates a “signature hole” for each course — an important detail if you send a lot of COD packages to golfers. As for the Rolex rankings themselves, what can I say? First of all, they aren’t true rankings. To avoid hurt feelings, the Editorial Committee scored the courses in five-percentile blocks, corralling the top 15 into the “100” category, the next 73 into the “95” category, and the rest of the sorry lot into “90s,” “85s,” “80s,” and “75s.” It’s an original scheme, but you wind up with a 73-way tie for sixteenth that puts Pebble Beach, Pinehurst No. 2 and Prairie Dunes on the same level. (Their scientifically-accurate Top 50 ratings are 6, 51, and 7, respectively.) 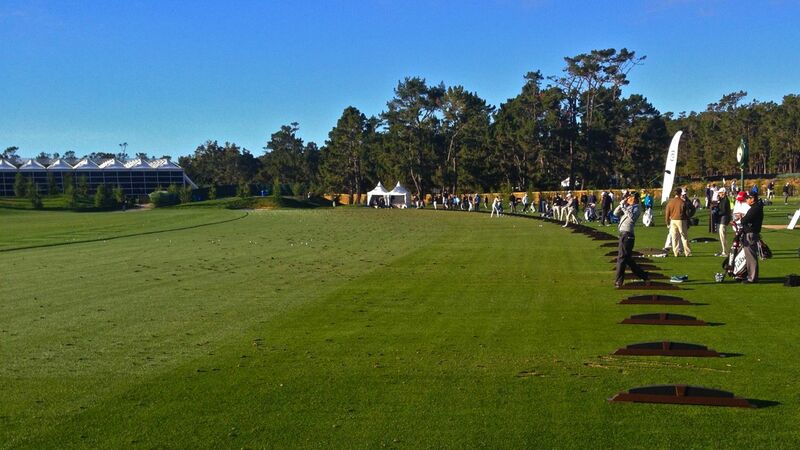 Furthermore, Rolex’s top-15 reads like an tardy schoolboy’s test paper, correctly guessing only three courses from the Top 50 blog (Augusta National, Cypress Point and St. Andrews Old Course), while canonizing Top 50 no-shows such as Bethpage Black and Torrey Pines South. The real problem with the Rolex Thousand is that they published it. I love hardcover books as much as the next man — if the next man is Johannes Gutenberg — but I don’t take my grocery lists to the bindery. Golf course rankings, to be meaningful, must be updated every few hours, and only the Top 50 performs this valuable service. Rolex, having to meet printers’ deadlines, doesn’t even mention the new Castle Stuart course in Scotland. The Top 50, attuned to the digital age, has the Highlands masterpiece at No. 10. Still, I give the Rolex 1000 a solid 95 for effort. It’s not their fault that the Top 50 is a perfect 10. 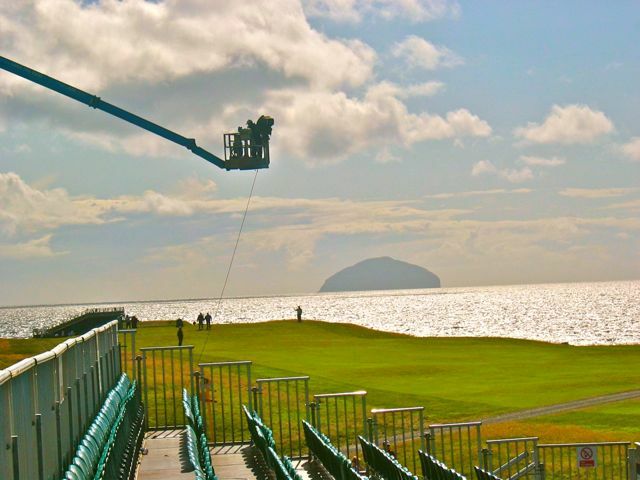 Top 50 on TV: The tour pros are still hogging the tee times on the St. Andrews Old Course, No. 16, as I type this on a breezy Sunday afternoon in the Kingdom of Fife. 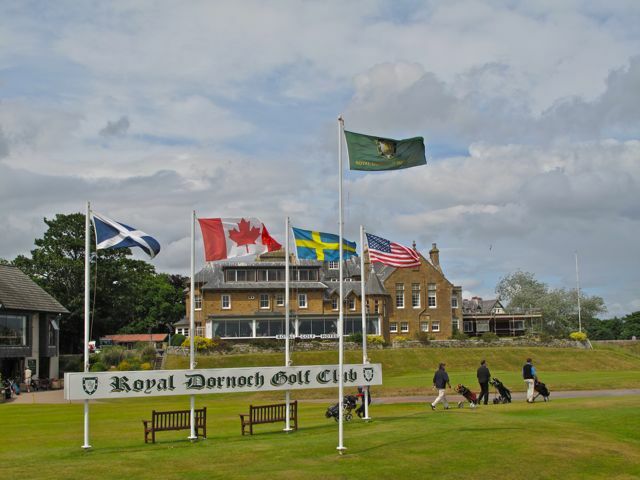 Fortunately, there are three other Top-50 courses within easy driving distance of the R&A clubhouse. (The Balcomie Course at Crail, the Torrance Course at St. Andrews Bay, and Kinghorn.) And that doesn’t include the wonderful Kingsbarns Golf Links (alt. 30 feet), which will debut in the Top 50 as early as next week, pending resolution of drainage issues at Catch Basin, our Kansas City headquarters. *The sadness may not be universal. The neighbor across the street flies a University of Missouri flag over his portico. Anyway, to lift the spirits of our depressed neighbors, I have issued a Top 50 press release pointing out that Jayhawk fans retain bragging rights in the area of great golf courses. “Kansas is home to no fewer than three Top Fifty courses [I’m quoting from the release], which is more than any other state and a lot more than Northern Iowa, which has no courses in the Top Fifty. (Or the Top 500, for that matter.) 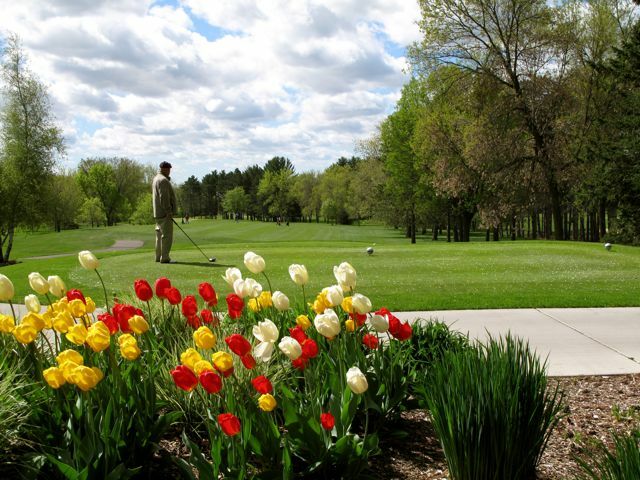 Topping the list of Kansas gems is 6th-ranked Prairie Dunes Country Club of Hutchinson, the site of numerous national championships …” etc., etc. 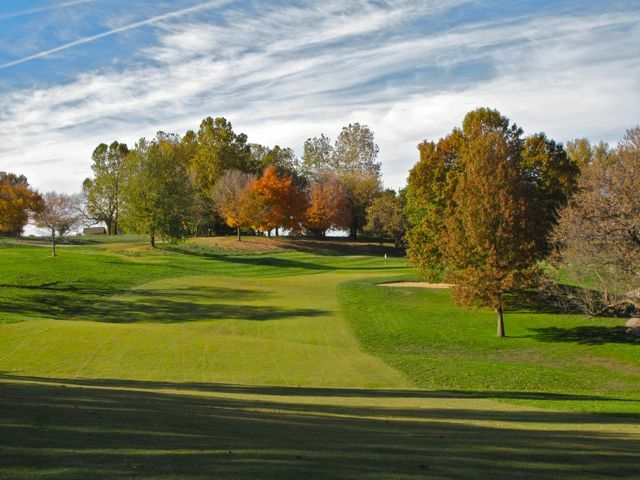 The release goes on to mention Mission Hills’s Kansas City Country Club (home of 5-time British Open champion Tom Watson) and Leawood’s Hallbrook Country Club (home of Tour Tempo tycoon, John Novosel), Nos. 50 and 42 respectively. I could have added that Milburn Country Club of Overland Park, Ks., was in the Top Fifty as recently as February, but I don’t want Iowans to think I’m rubbing it in. I’ll just point out that a list of other Kansas courses that are better than anything northern Iowa has to offer would include Flint Hills National, Colbert Hills, Prairie Highlands, Mission Hills, Auburn Hills, Dub’s Dread, Buffalo Dunes, and Sand Creek Station (recently rated No. 2 public-access course in the state by Golfweek). Feel better Kansans? I hope so. Oops, have to go. The Mizzou-West Virginia game tips off in a few minutes.